It is no secret that I love coffee. ... In fact, I had to pause just then to have another sip. To commemorate my love, I've made a little pattern for you. The process for stitching this is similar to what I did for a project on About.com But with this one, there's also the negative space that makes the (super positive!) coffee mug. In the pattern, there are two versions: One shows each lazy daisy stitch, just like above. This gives you a good fitting for the stitches. The other version is just the outlines so you can fill it however you like. ... Ahhh, that's good coffee! 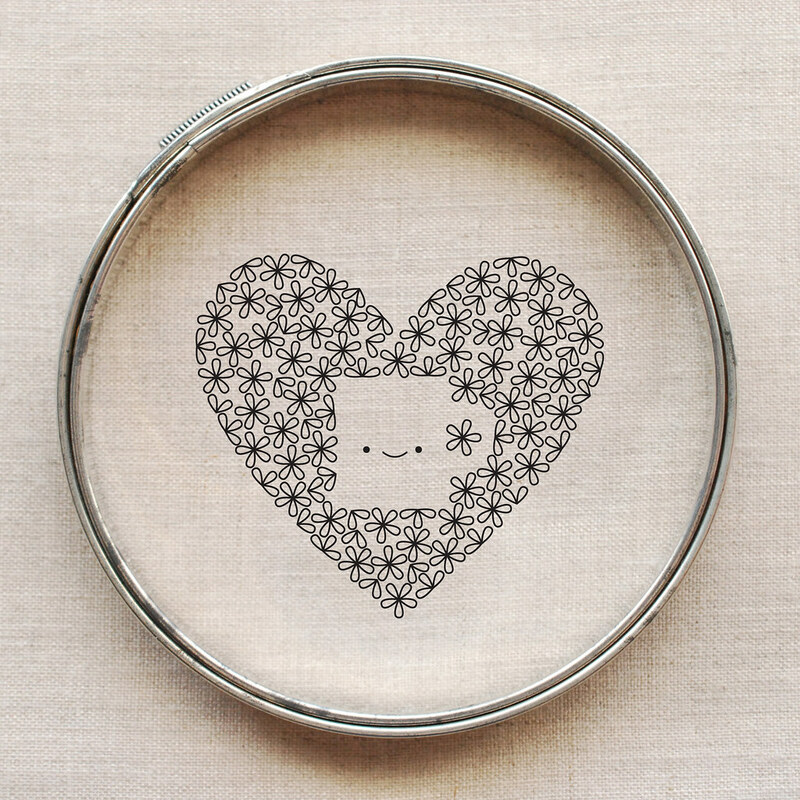 Take a slug from the mug and get some stitching going! Oh my gosh! I love love this!!! You are not helping me with my efforts to not add new projects to my list Mollie! :) Downloading the pattern anyway! Thank you! haha...sorry! Save it for a reward for when you finish a couple things! Thank you for another fabulous pattern Mollie! I crazy love a good cup of coffee too...sip, sip, Awww! This adorable little pattern would be just the perfect touch of love on a coffee cup wrap, guess what I will be making for my coffee loving Valentine's!!! This is adorable. Thank you so much. This will fit perfectly by DH's espresso machine. I've never been that great at embroidery but I'm tempted to give it a go again. Oh I love this! So cute! I'm going to be doing a series over on my blog for Valentines day - I'd love to include this if you don't mind? This is so adorable! What a great, simple, fun design. Thank you! Can't go wrong with coffee!